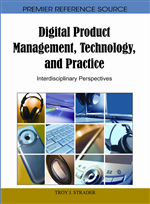 Managing a digital product company in 2010, and beyond, is a very unique and challenging experience when compared to the traditional product development and deployment models of the late 20th century taught in many MBA schools today. This chapter presents the benefits, challenges, and lessons learned of a CEO who is transforming a traditional “Software as a Product” engineering software firm that he founded in the mid 1980‘s to a Web-based, “Software as a Service” firm that is positioned for 2010 and beyond. Proplanner.COM started out as a company called Cimtechnologies Corporation, which was a university spinoff of graduate student research from the Industrial Engineering department at Iowa State University in 1987. The company sold PC-based manufacturing planning software applications tailored to the design of factories and their supporting materials handling systems. The software applications were priced from around $1,000 per license up to $15,000 per license and included a number of modules. Products were sold in the US from the combination of a direct, and indirect, sales force. The indirect sales force comprised of independent dealers of software from two different vendors (Autodesk and Production Modeling Corporation). These dealers were geographically located throughout the world. Software presentations were all conducted face-to-face, typically at the customer's factory site. It would often take three or four presentations over the course of two to three months in order to gain approval for the purchase order process, and that process could take another one to two months. The software applications performed tasks to diagram and calculate the flow of materials in the factory, as well as, create 2D and 3D layout drawings within the AutoCAD graphics application. As such, the features and benefits of the software were fairly easy to communicate, and were largely well understood by the prospect. In addition, customers were able to quickly learn and use the applications with a minimum of training and support. Since about 2003, the products expanded their focus to include tasks such as Assembly Line Balancing, Shop Floor Work Instructions Authoring/Publishing, Worktask Time Estimation (Observed and Predetermined), FMEA/Control Plan Quality Management, Engineering Change Management and finally, the integrated workflows and data flows between the associated modules. The current distribution model was providing diminishing results in terms of both units sold and sales revenue. In addition, direct sales for products in this price range were very expensive, and it took too long to find, train and support new territory representatives. Since around 1998, the company had been expanding in its use of the Web to support customers. By the end of 2001, it was proposed to begin offering software sales and product downloads via the Web. In 2002 the Proplanner.COM company was formed and within two years the company was offering products for sale, download, and subscribed use via the Web. The new company was founded in order to provide financial resources and technical focus on the Web-based model. The original Cimtechnologies Corporation firm had been acquired by a very large IT firm, and this firm wanted a clean break between the two technologies and sales models. In part, this was due to a lot of internal resistance by the IT firm's sales staff, to the prospect of converting to a direct Web-based model for sales and support. One of the critical benefits that the company was seeking involved a consistent revenue base afforded by subscription sales. The traditional software model experienced significant revenue swings of four to six times on a monthly basis. This variability created challenges for budgeting of staff and managing cash flow. It was also hoped that the sales effort could be reduced by a commensurate reduction in the significant up-front cost for the software purchase. Basically, the higher the up-front cost, without proven benefits of the software, then the more effort that needs to be expended in sales to convince the client that their decision is wise, and the more decision makers are likely to need to be involved. Instead, if the client can pay-as-they-go, then the initial successes drive increased usage (more licenses) within the company, and this increases the monthly revenue, without a commensurate increase in sales activity. In many ways, software as a service (SaaS) provides an opportunity for a traditional model “pilot project” to transition smoothly into a full deployment sale, without introducing a significant front-loaded one-time cost which will require multi-level management approvals and perhaps even future budgeting cycles. Finally, the steady revenue and rapid low-cost sales growth of the SaaS model was heavily desired by Venture Capital firms and this created much greater corporate valuation multipliers (three to six times revenue) versus that of the traditional sales model which was experiencing reduced multipliers down to one to two times revenue by 2002.